EXO’s back, and honestly, we just can’t wait to scream our lungs out for the boys on Saturday at The Elyxion in Manila. While we wait with feverish anticipation for this amazing event, we can’t help but reminisce the last time Xiumin, Suho, Baekhyun, Chen, Chanyeol, D.O., Kai, and Sehun stole our hearts. Of course, we’re talking about last year’s EXO Planet #3: The EXO’rDIUM in Manila! Held at Araneta Coliseum on the 25th and 26th of February, the memories of those two heavenly nights are still fresh in our minds. It’s as if they only happened yesterday. So before we dive into The Elyxion, allow us to take you down memory lane. 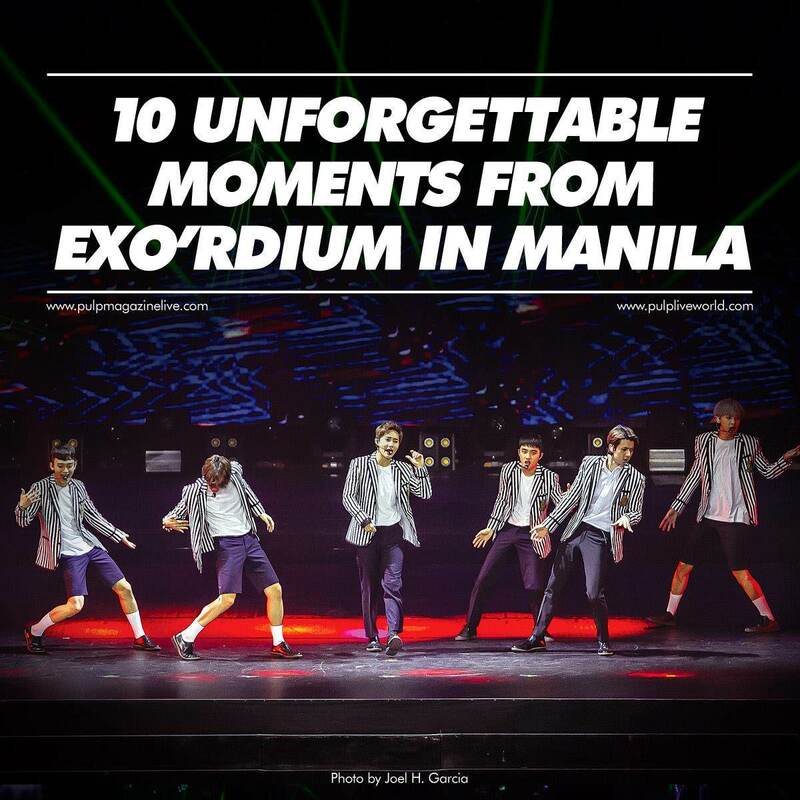 In our humble opinion, here are the ten best moments from EXO Planet #3: The EXO’rDIUM in Manila. 1. That part in the video greeting where Kai threw us a heart. WE HEART U TOO, KAI. WE HEART U TOO. 2.And while waiting for the show to start we were already losing our minds. 3. The boys’ entrance was spine tingling to say the least. 4. And those pyrotechnics literally (figuratively) blew us away. 5. Of course, there was also the everlasting Silver Ocean. EXO-Ls will never disappoint their Oppas. 8. Have you recovered from Chanyeol’s awesome guitar solo? Because we definitely haven’t. 9. And who can forget that throwback when they sang “Hawak Kamay”?? They love us WAY too much. 10. When they closed the show with “Angel,” we couldn’t hold back our tears. We were just feeling all the feels, and we were practically BEGGING them not to end the show. Yeah, it was tough having to say goodbye. See you at EXO Planet #4: The ElyXion in Manila, happening on April 28, 2018 at the Mall of Asia Arena! For a more detailed throwback, pick up the Annual KPOP Report (Issue #193) which is still available. Click here to get your copy.